I wore this cute ditzy floral dress which I picked up in the Zara sale to Puma Yard in Bricklane on Sunday. 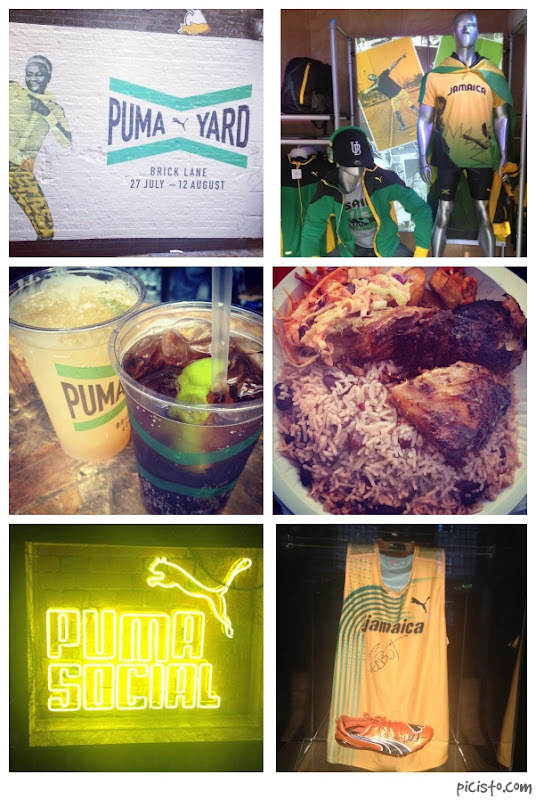 Puma Yard was awesome, I went along with my friend Gi Gi. I signed up for tickets a week before but wasn't quick enough to get a pair of the evening social club ones. Anyhow we still had a good day. With the London sun blazing; we grooved to the reggae tunes, ate jerk chicken with rice n peas and I got to enjoy good quality rum tasting cocktails.. If there was one thing I was slightly disappointed by that I didn't get a pair of the inflatable bolt arms which would of looked crazy cool on my back. Tee hee..
you look great in this floral dress and sandals!